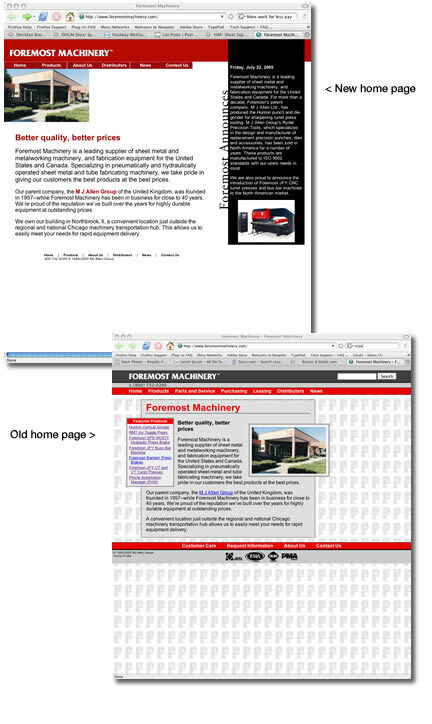 Foremost Machinery called us, Chris Finnie and I, in as they were in the middle of a redesign of their site. They had improved the site, but weren't sure where to go from there. Chris and I helped them better organize the site, so that the machines were set into categories and were easier to find. I came up with a cleaner look as well.